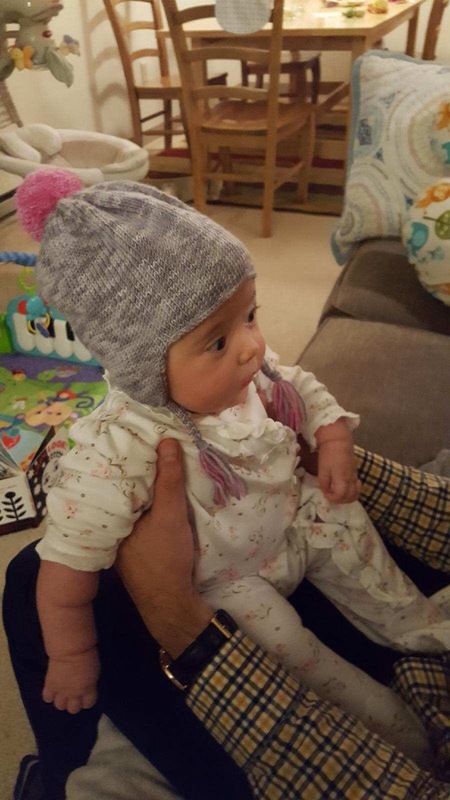 Another hat to keep another head warm! 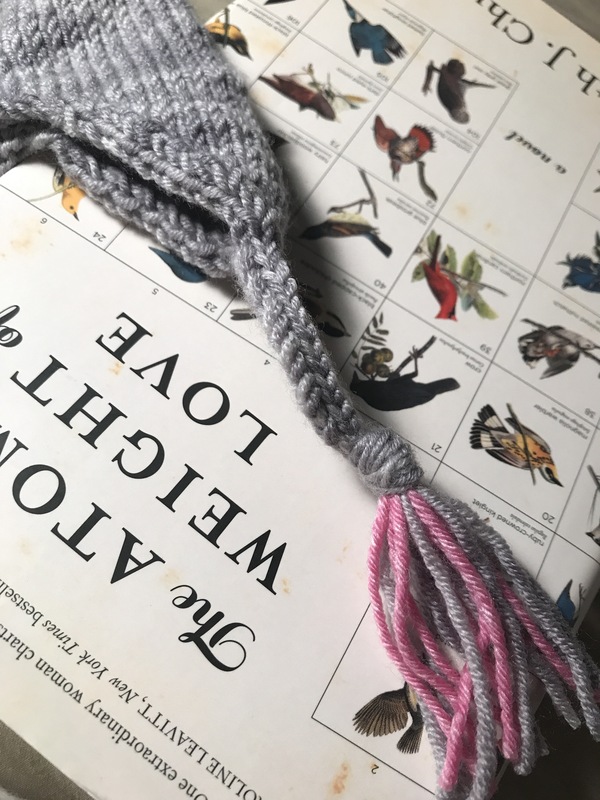 I’ve been looking for a good ear flap pattern for quite some time and hadn’t had any luck, until a few days ago when Purl Soho released their top-down ear flap hat. 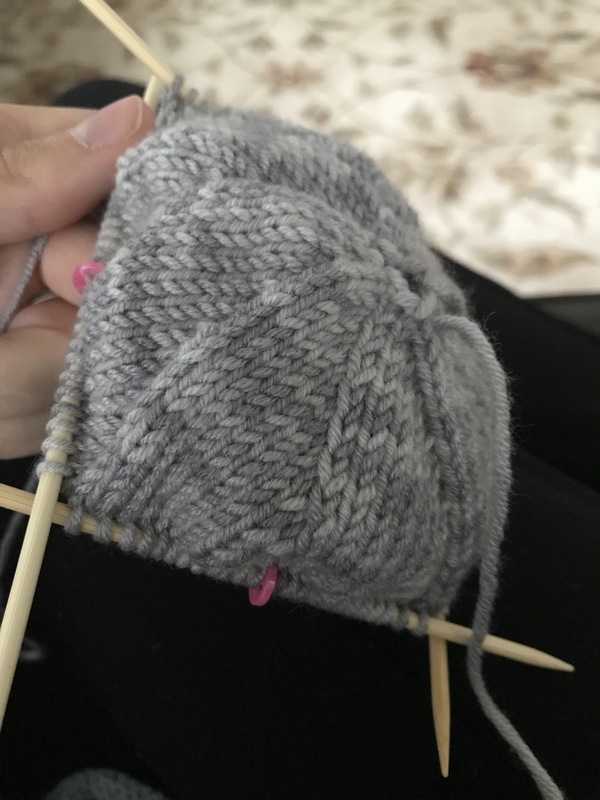 I don’t have the specific yarn the pattern calls for but I’ve had some Debbie Bliss Cashmerino tonal grey yarn for a few months in my stash and it has the same guage as the pattern. 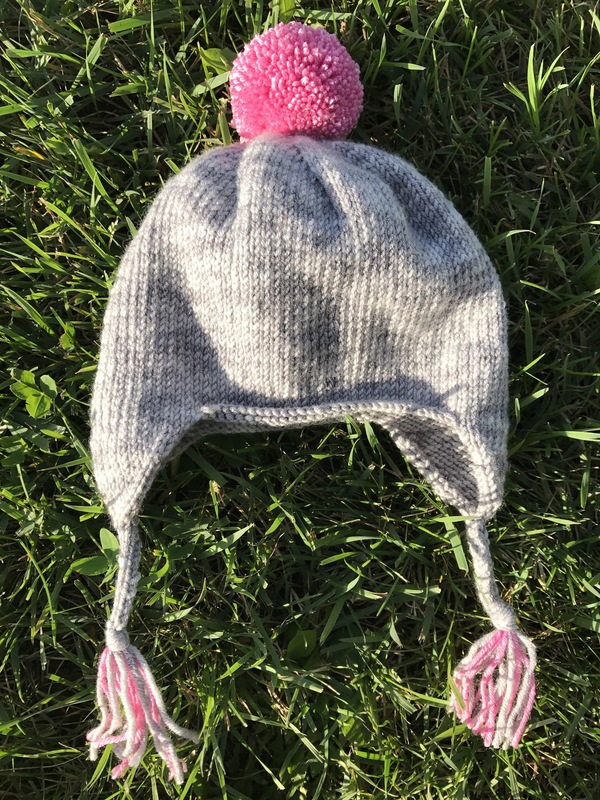 I haven’t ever knit a hat from the top down and I’ve knit many hats. The pattern starts by casting on eight stitches then dividing among four needles. What!? 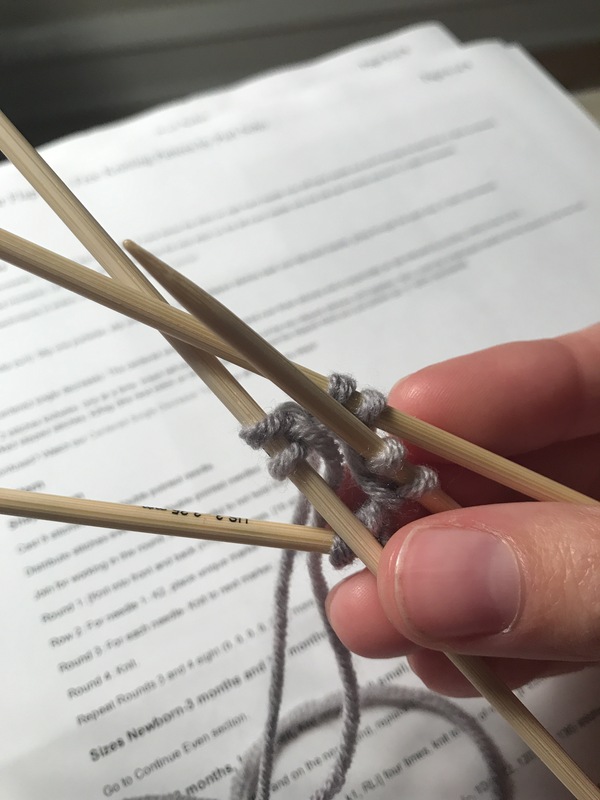 I had to do it twice because I had no idea where to join the round because the needles got all jumbled up. 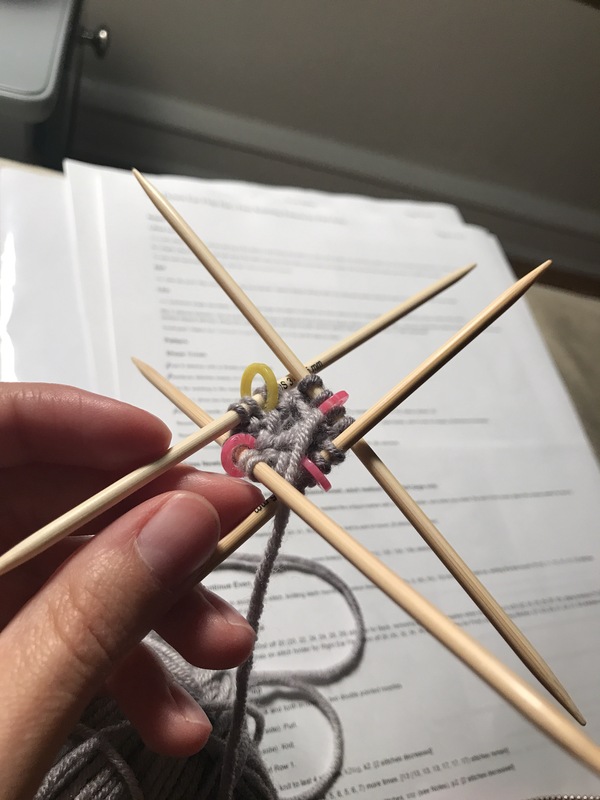 Somehow the second try did work and I knit a round and placed the markers. 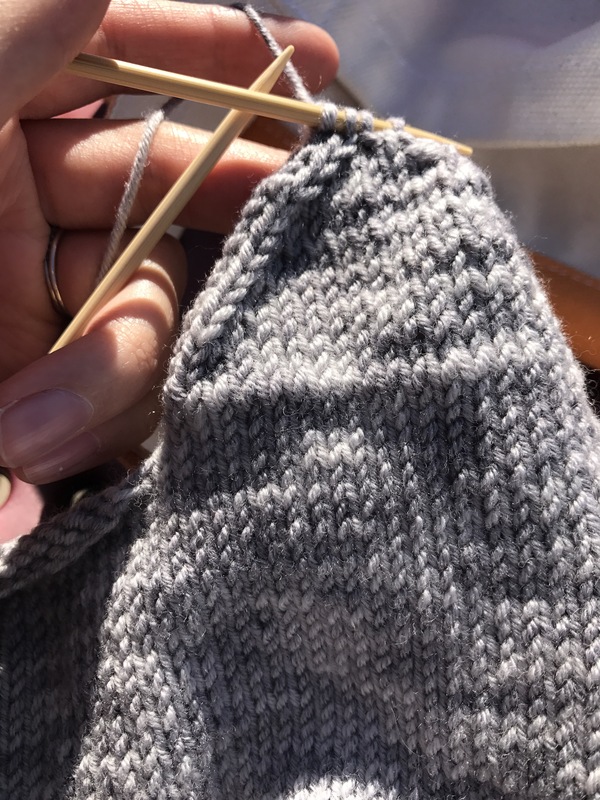 Once the increases of the crown were complete it was just stockinette stitch until I got to seven inches from the cast on. I find the swirl increases to be really interesting and pretty, which was a pleasant surprise. After binding off the front and back stitches to shape the front and back of the hat, I worked the i-cord for a little over an inch. The PS finished hats all had long cords so I was confused, but then realized long cords and babies are probably a safety hazard. 😳 So I kept it short as this is the 3-6 month size for my co-worker’s baby. A note about the yarn: it is very soft and knit up fine, but the “tonal” color just looks camouflage to me with the way its color worked out in stockinette. I’m not a fan and won’t be using it again. At least I only had one 50 gram ball of it so I’ll probably just hold onto it for waste yarn. Oh well! That’s all part of the process 😂. Maybe different colorways are much nicer as a finished product…I will remain open minded.